Redesign your home with the most popular species of floor since the late 1800's. Discover the perfect floor for you with warm undertones and soft grain that makes maple unique. The natural appearance of maple makes it a breath-taking addition to your home. 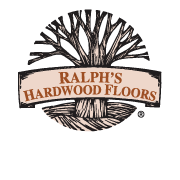 "Ralph's Hardwood Floor team did an exceptional job of bringing our floors back to life! The process required them to completely remove the old maple white wash finish and apply a beautiful walnut stain. We could not be happier with the results; It is as if we have a brand new home!"